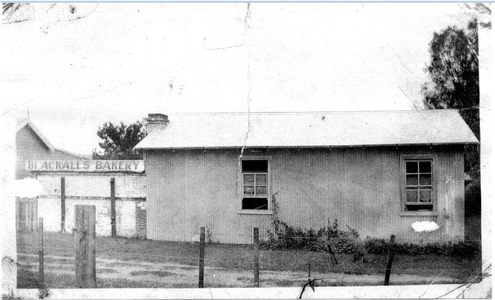 The first official meeting of the Toronto SDA Church was in 1932 and was held in the Old Bakehouse in Railway Parade north at Blackalls Park. The group continued to meet and hold programs in the Old Bakehouse until about 1940, at which time they moved into temporary residence in the Scout Hall on the corner of Victory Parade and Carey Street, Toronto while their new church was being built in The Boulevard. The Church was dedicated on August 9, 1941. As was the case with most churches till well into the 1950s, no permanent minister was appointed to care for the specific needs of the church. Most times, meetings were conducted by laymen and names such as Goldsmith and Coltheart were prominent speakers. In 1957 Pastor Thrift was appointed to care for the church, and his time was shared with Boolaroo and Swansea churches. The church membership continued to grow and in the early 1970s plans were drawn up for a new church on the corner of Galbraith and Barry Avenues, Toronto. The membership was 42 at the time. The church members toiled hard to make this church a reality and the new church commenced official services with the marriage of John and Denise Collett on May 16, 1971. In the 1980s extensions in the form of a hall were completed. As the number of children grew in the church, so too did the desire of parents for their children to receive a Christian education. Other church schools were too far away and so plans were made to acquire land to build a Primary School. School classes were conducted in the church in Toronto in 1982 until the school was completed in 1983. The late Pastor Leo Rose, a past President of the NNSW Conference and much loved member of Toronto Church, had an instrumental role in the acquisition of this site and the establishment of the Primary School. 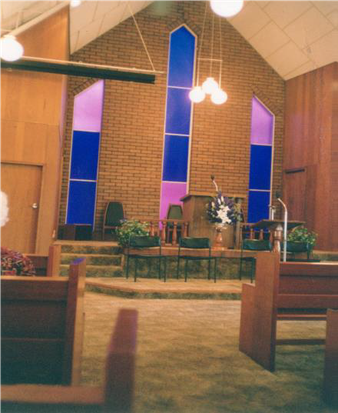 The membership of the Toronto Church continued to grow through the 1980s and 90s and it was evident that larger premises were required. The late Pastor Graeme Scott was the minister at the time and Graeme had a vision for the construction of a larger church on the school site. He wanted to triple the church membership and, through the generosity of Architect Stephen Rose, concept plans were drawn for a church to seat 350. The finances required were out of reach of the congregation at the time and the plans were put on the shelf for a while to see if they would germinate. In the meantime, the Primary School needed a hall facility and the church congregation started collecting donations and raising funds for the Leo Rose Memorial School Hall. In the late 1990’s, building costs were rising faster than the church could raise funds and the construction of a new hall, not to mention a new church, seemed way beyond our reach. In the early hours of Sabbath morning, 14 August 1999, the church burned to the ground from an arson attack, leaving the church family with nowhere to worship. The Uniting Church in Toronto generously opened their doors and the members worshiped there for two years while the new church was being built on the school grounds. Architect Stephen Rose designed the church and Adrian and James Grieve were the builders. John McNaughton donated his skills for the interior design. The church was officially opened on 27 October 2001, only two years after the old church was destroyed. The new church has a seating capacity of about 175 and has seen much growth and change over the years since it was built. Toronto church members are proud of their church and their heritage. We praise God for His leading and look forward with excitement to the continued fellowship, growth and opportunities for service this church brings to the community.